She may come off as a polite and elegant lady, but her designs tell another part of the story. Fresh and fierce, jewellery designer Radhika Jain’s creations not only capture the zeitgeist of today’s women, but they can also be preserved for posterity. With a strong desire to revive the dying handicrafts of Bengal and take them to the international platform, Radhika has been designing jewellery for more than seven years. 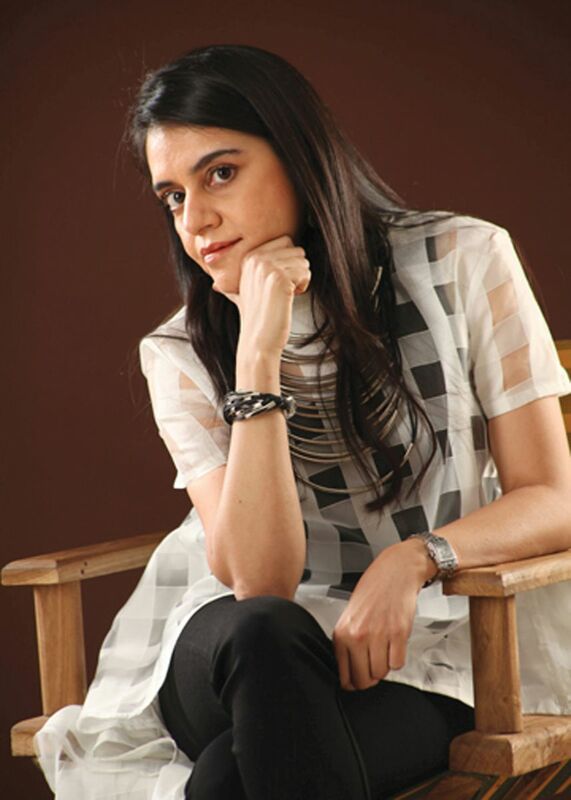 Her creations – a mix of the past, present, and future – represent Indian art and culture with a post-modern approach. Here’s her candid chat with You & I. Brief us about your early life and career. I am a commerce graduate and I also hold a diploma in graphic and web design. Further, I have passed a course in gemmology with distinction. This academic background, coupled with my creative zeal, has enabled me to pursue my innate passion for designing. I have always been a creative person with a yen for everything artistic, and have not taken any formal training in designing. I found my calling in life one summer, while helping my cousin Milky design jewellery. I was so fascinated by the whole process that I decided to design my own creations. I used my creative skills to design pieces; opportunely, they were appreciated by all. That boosted my confidence and inspired me to take this profession seriously. How did you decide on the name MiRA? MiRA is an abbreviated form of two names: Milky, my cousin from whom I learned the basics of jewellery design, and Radhika, myself. Clubbing the two formed the moniker MiRA (pronounced My-Ra). This name holds another meaning, too – merging ‘Self’ (My) with ‘Sun’ (Ra). Also, ‘Ra’ (God) in Egyptian mythology symbolises power, creativity, light, and individuality. MiRA aims to infuse all these qualities in its designs. Since the name has a connection with my career and a beautiful meaning, I found it perfect for my brand. Can you elaborate on your ‘Jardin d’Eden’ collection? My latest collection, ‘Jardin d’Eden’ (Garden of Eden), features an array of bespoke pieces, from stunning body harnesses to necklaces, signature bracelets and earrings. The pieces are perfect for any occasion, including engagements, weddings, birthday gifts or just sheer self-indulgence. The collection features handcrafted fibres with metallic elements and, like the original Garden of Eden, it aims to be the guilty pleasure for every woman. My creative instincts, love for nature and handicraft inspire my designs. Who do you envision wearing your work? Do you consider this aspect when working on designs? My designs are for women who aspire to be independent, are creative and modern, and at the same time are feminine and deeply connected to their roots and culture. Yes, I do consider this aspect while working on my designs. What materials do you use for your jewellery? I like travelling and collecting raw material, which I can use to create interesting jewellery. I usually do not restrict my creativity by using a particular kind of material. I then sit with those pieces and mull over the permutations and combinations to create a collection. My masterpiece is the body harness, the first piece I created using artificial ivory in the shape of birds and flowers. Is sustainability possible in jewellery design? My present collection is sustainable jewellery as I have used eco-friendly materials. And yes, sustainability is very much possible in jewellery design. Also, I like to create timeless pieces which can be passed down for many generations. and future – represent Indian art and culture with a post-modern approach. Here’s her candid chat with You & I.